Definition at line 27 of file llfloateravatarlist.h. This enum is ordered by priority, higher values have higher priority. Since we only have one column to show activity, priority decides what to show in case of conflict. Definition at line 55 of file llfloateravatarlist.h. Definition at line 68 of file llfloateravatarlist.h. How to color the user list. Definition at line 79 of file llfloateravatarlist.h. Definition at line 39 of file llfloateravatarlist.h. 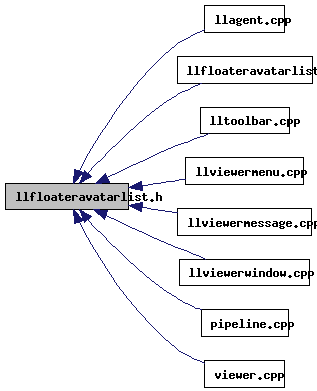 Definition at line 231 of file llfloateravatarlist.cpp. 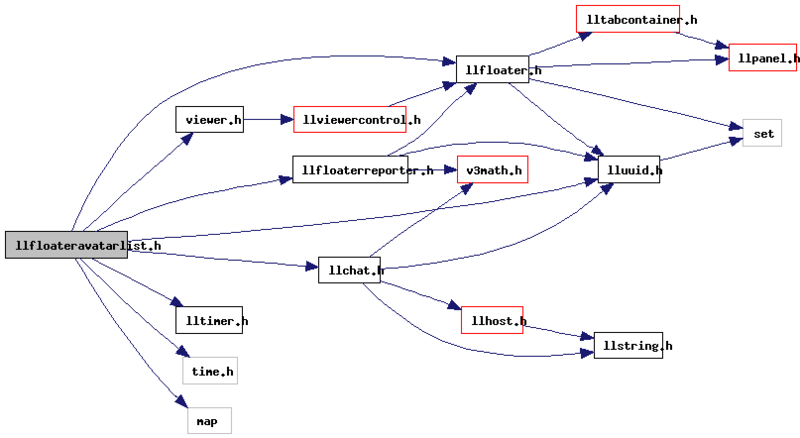 Referenced by addParticleSourcesToList(), LLFloaterAvatarList::handleIM(), idle(), LLViewerWindow::initWorldUI(), LLPipeline::postSort(), LLFloaterAvatarList::processAvatarPropertiesReply(), LLFloaterAvatarList::processTrustNetReply(), LLAgent::startTyping(), LLFloaterAvatarList::toggle(), LLFloaterAvatarList::visible(), and LLViewerWindow::~LLViewerWindow().